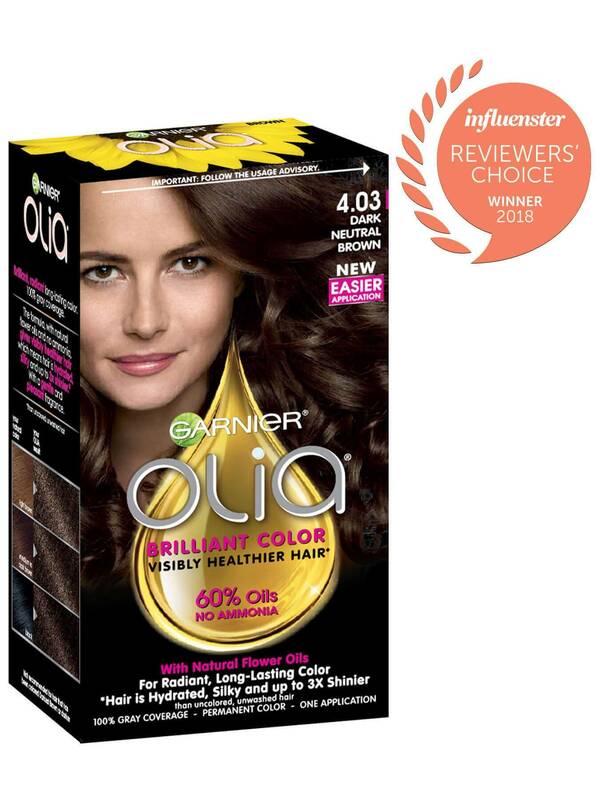 Garnier Olia shade 4.03, "Dark Neutral Brown," is a natural brown shade, specially designed to balance warm and cool tones in your hair for the most neutral color results. This shade provides 100% gray coverage and is best for anyone with natural hair between light brown and black. If you prefer a lighter shade that reflects similarly, try shade 5.03, "Medium Neutral Brown." If you would like to remain in the dark brown range but would like to try other reflects, there are many shades to choose from including 4.0, 4.15, 4.3, 4.35, 4.60, and 4.62. *For women with currently color treated hair, there are special considerations for the color result you can achieve. Because of this, we do not recommend shade 4.03 for hair that has been previously colored shade 3.0, "Darkest Brown," or darker. For more help, use our Shade Selector Tool to find the perfect shade for you! Rated 1 out of 5 by Cassie123 from Horrible coverage Worst color I've ever used from a box. Seriously cheaper brands are better than this. Never again. First of all there's barely any color to work with. My hair is to my chin, that shouldn't be an issue. One box has covered my hair at longer lengths with all other brands. Color didn't cover most of my greys and the greys that did cover are reddish. I would rather use cheap color, it's much higher quality than this junk. Yeah my hair feels healthy but that's about it. I did just get a haircut so I'm doubting the color has anything to do with that. Rated 2 out of 5 by megan23 from Not What I Expected The color isn't bad, but it made my hair very dry. 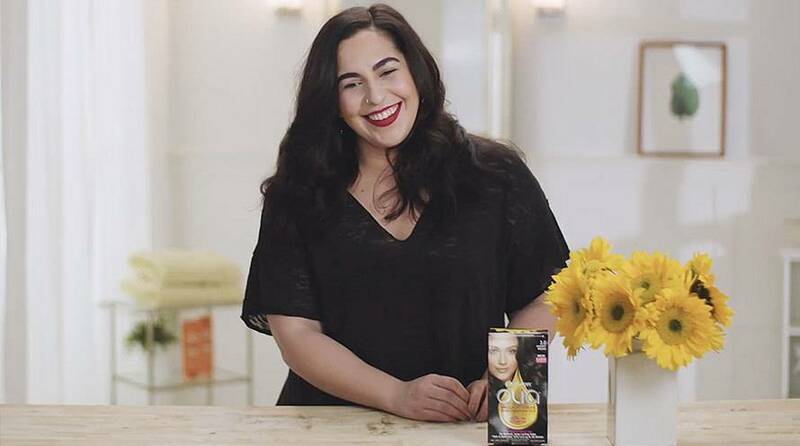 For something oil-based that's supposed to help keep hair healthy, it's very misleading. I won't be using this product again. As for the applicator, it's difficult to mix the developer and color in the bottle because it's not so easy to grip and shake up. Overall, I'm pretty disappointed.